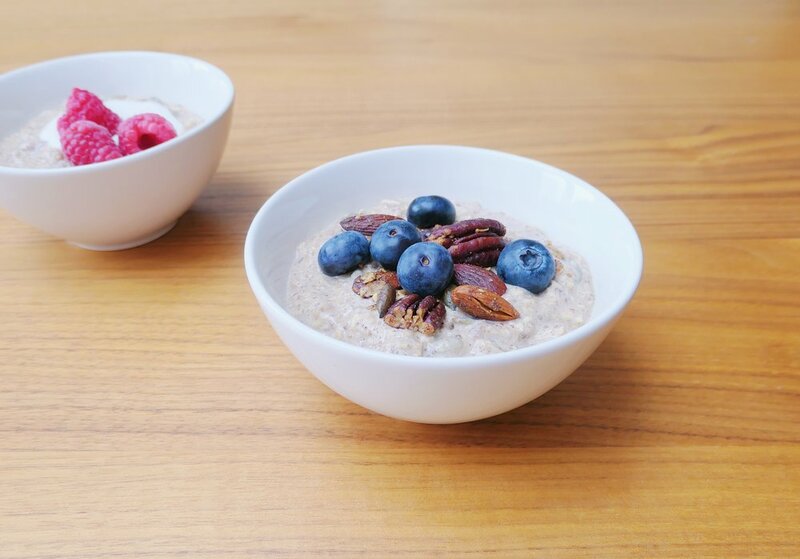 Nothing puts a spring in your step like a good breakfast - and we’ve created this delicious overnight oats recipe to help you leap out of bed and tackle the day ahead. Whether you enjoy a bowl before work or in the office, every spoonful provides instant energy and you can mix up the toppings for each day of the week. Enjoy! In a bowl, stir together the oats, flax seed, cinnamon and maca. Pour in the milk and mix until well-combined. Stir in your nut butter of choice. Finely chop up the dates; and stir them in with the almonds and pumpkin seeds. Pop the bowl into the fridge and leave it until your ready to serve in the morning. Our favourite toppings include yoghurt, nut butter, crunchy nuts and fresh fruit.